Reading my previous post related to Trains to Munnar, many people contacted me with a same question: “How to reach Munnar from Bangalore”, “I am driving from Bangalore to Munnar; which is the best route”, “Chennai to Munnar – which is the suggested route”, “ I can see many routes to Munnar from Bangalore in internet - guide me the best one”, How to reach Munnar from Trivandrum , I am travelling( Self drive) from Salem with wife and my 1 year kid . Kindly help me with safe route” etc.... So I am trying to give how to reach Munnar from different locations with best routes and modes. If you plan to take flight, then the nearest airport is Cochin International Airport / Kochi (COK). Most Indian cities like Mumbai, New Delhi, Bangalore, Chennai, Kolkatta, Hyderabad, etc.. and foreign cities like Dubai, Doha, Abudhabi, Muscut, Singapore, Kula Lampur, Colombo ( from where you get connection flights to all parts of the world) are connected to Kochi via direct flight. From Kochi airport you can take a cab to Munnar which is around 3 to 3.5 hrs journey through hills. The next close airport is Coimbatore (CJB). From Coimbatore you can hire a cab to reach Kochi which takes around 5 hrs. If you plan to take train (Travelers from Bangalore/ Mumbai/ Chennai/ Hyderabad/ Manglalore/ Trivandrum have direct trains), then the nearest railway stations are Aluva and Ernakulam. Push back 2*2 Semi sleeper Ac and Non AC Air buses, Sleeper AC and Non Ac air buses are operated between Bangalore / Chennai and Munnar by operators like Kallada travels, SRS, KPN, Greenline, Royal travels etc... You can book seats online at www.redbus.in. If you arrive at Kochi/ Ernakulam/ Aluva too, you can get buses operated by Kerala Road Transport Cooperation (KSRTC) and private parties like Cochin Motors, PTMS Travels, Nellickal motors, etc... Even KSRTC runs daily AC low floor Volvo buses between Kochi and Munnar. How to reach Munnar from Bangalore: Approximately 468 kms / 10-11 hrs. Bangalore (Madiwala) -- 15 Kms -- Electronic city -- 25Kms -- Hosur -- 150kms -- Salem -- 80kms -- Perundurai -- 68kms -- Dharapuram -- 40kms -- Udumalaipettai -- 48Kms -- Marayoor -- 42kms -- Munnar. How to reach Munnar from Chennai: Approximately 598kms / 11 hrs. Chennai ( Central) -- 335kms -- Trichy -- 102Kms -- Dindugal -- 67kms -- Theni -- 16kms -- Bodinayakanur -- 28 kms -- Bodimettu -- 12kms -- Poopara -- 12Kms -- Chinnakanal -- 16kms -- Devikulam -- 10kms -- Munnar. 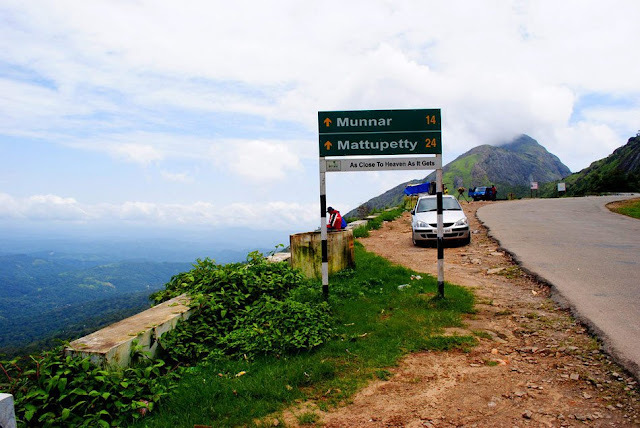 How to reach Munnar from Madurai: Approximately 171 kms / 5 hrs. Madurai -- 40 Kms -- Uslampetti -- 37 Kms -- Theni -- 16 Kms -- Bodinayakkanur -- 28 Kms --Bodimettu -- 12 Kms -- Pooppara -- 12 Kms -- Chinnakanal -- 16 Kms -- Devikulam -- 10 Kms --Munnar. Kochi (Vytilla) -- 38 Kms -- Muvattupuzha -- 14Kms -- Kothamangalam -- 18kms --Neriyamnagalam -- 30kms -- Adimalai -- 32kms -- Munnar. Mangalore (Jyothi Circle) -- 142 Kms -- Kannur -- 94Kms -- Kozhikode -- 112kms -- Thrissur -- 49kms -- Angamali -- 82kms -- Adimali -- 32kms -- Munnar. Coimbatore (Ukkadam) -- 44 Kms -- Pollachi -- 30kms -- Udumalaipettai -- 48Kms -- Marayoor -- 42kms -- Munnar. 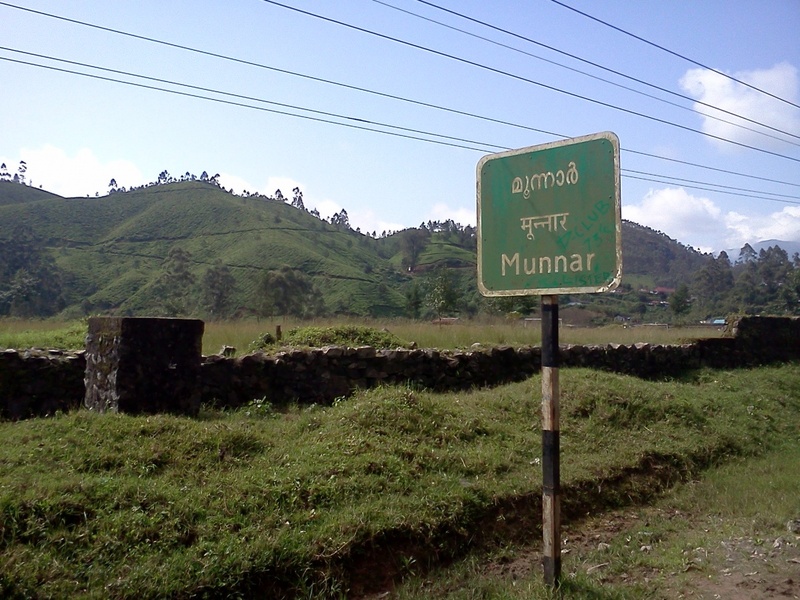 How to reach Munnar from Trivandrum: Approximately 306 kms / 8 hrs. Trivandrum (Thampanoor) -- 72 Kms -- Kottarakara -- 82 Kms -- Kottayam -- 12 Kms -- Ettumanoor -- 16kms -- Pala -- 30 kms -- Thodupuzha -- 62kms -- Adimali -- 32 -- Munnar. 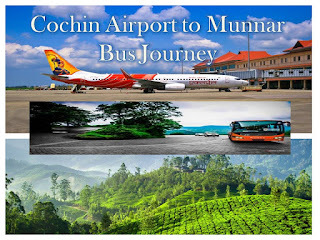 Kochi airport to Munnar is around 135 kms ( 4 hrs). Normal Indica Car will be charged around Rs. 3000-Rs. 3500 depending on Season. Suggestion: Without a vehicle @ Munnar- We cannot cover any places as all sightseeing spots are at different points. So it is always advisable to hire a Car from airport as Pickup- Sightseeing and drop which will costs less. Eg:- Kochi Pick up- Munnar Sightseeing and stay for 2 nights- Kochi drop on 3 rd day- An Ac Indica including fuel, drivr batta will costs only Rs. 5000-5500.